More people are continuing to join our protest outside Queen Elizabeth Hospital. ISS management need to start paying attention to our members! Our day of action against ISS has taken us to Queen Elizabeth Hospital in Greenwich. ISS management need to start treating their workers with respect! Our members at Princess Royal Hospital in Orpington are sick of ISS not treating them like their NHS colleagues. Our campaign is gathering momentum and we are up for the fight! GMB Southern are proud to be supporting Townsend Productions' one-man performance of The Ragged Trousered Philanthropists at Epsom Playhouse on Thursday 16th May. For tickets and more info visit http://www.epsomplayhouse.co.uk/shows/ragged-trousered-philanthropists Be sure to book now as this is sure to prove very popular! GMB are fighting for our members within Epsom & St Helier Hospital Trust and are supporting the work of KOSHH (Keep our St Helier Hospital). They are holding an open meeting on Wed 24th April (details below) so please attend and support the opposition to hospital land being sold off for profit! Calling all Retired Members! 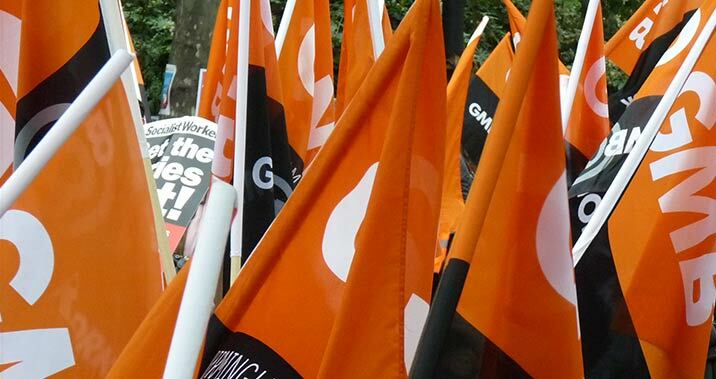 GMB Southern's Retired Members Association are meeting on Wednesday 26th June at 11am in our Chessington office for their Regional Conference. Among other things they will be discussing motions and delegates to go to National RMA Conference, so let us know if you are interested in attending and we will give you further details!